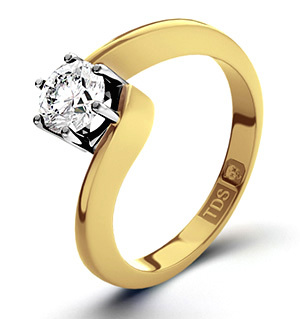 Item UT20-12JU3A - A superb Leah Yellow Gold Engagement Ring for £4229.00 in 18K Yellow Gold. 0.90CT of H/SI1 quality Diamonds. Platinum Overlay S S Russian Diopside and Diamond Ring 2.29 Ct.
Brazilian Citrine (4.25 Ct),White Topaz Platinum Overlay Sterling Silver Ring 5.150 Ct.